Toronto, ON – Sudbury native and renowned Canadian performing and recording artist Joey Niceforo announced today that his self-titled solo debut CD, “Joey Niceforo”, is now available for digital downloading on iTunes, Apple Music, Spotify, and Amazon Music. 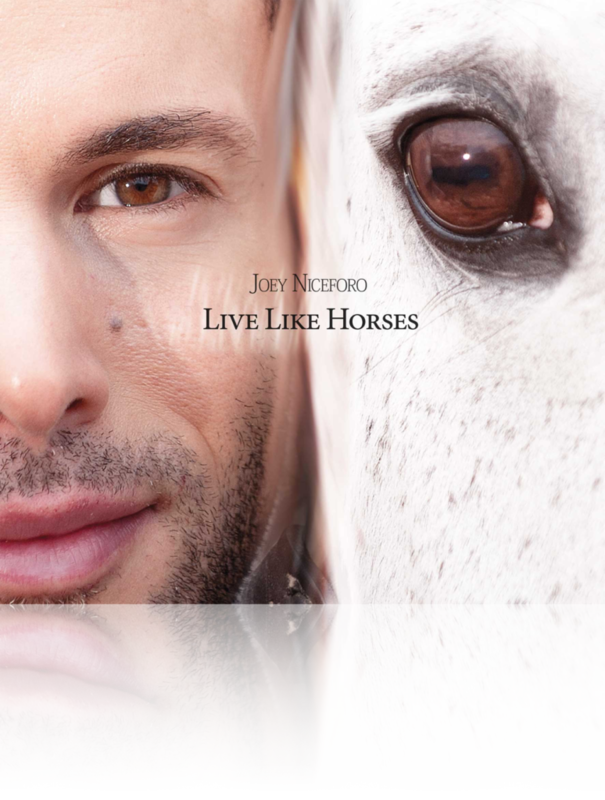 Recorded in 2013, as a limited and numbered edition in CD format, then called, “Live Like Horses”, “Joey Niceforo”, was only available for sale at Niceforo’s live performances. It contains nine covers of pop songs, arranged and recorded in a classical crossover style, including Live Like Horses (Elton John), Open Arms (Journey, with French lyrics written by Niceforo), Mi Mancherai (Josh Groban), and Winner Takes It All (Abba). This album features acclaimed pianist Roy Tan and violinist Rosemary Siemens. Later this year, Niceforo will release his follow-up recording that was recorded at Abbey Road Studios in London, with a full orchestra. Details of that recording will be announced at a later date. Joey Niceforo has had a busy career following his studies at The Glenn Gould School at the Royal Conservatory and the University of Toronto’s Opera Division. In 2005, he joined the original Canadian Tenors. He then formed his own classical crossover ensemble Destino who went on to tour internationally, including performances at the Beijing and Vancouver Olympics, Carnegie Hall in New York City, the Miss America Pageant in Las Vegas and a national tour with the Rankin Family. As a solo artist, he has performed a number of concerts in Toronto, New York, Los Angeles, across Italy, the Czech Republic and always enjoys preforming in his hometown of Sudbury. He has been featured on NBC singing the American National Anthem for the Columbus Day parade in New York and in the ABC made for TV movie Brave New Girl, produced by Lynne and Britney Spears. Earlier this year, Niceforo was a guest artist with Vancouver based vocal ensemble Vivace, having toured the state of Florida for seven weeks. Most recently Niceforo performed at the Conservative Party of Canada’s Leadership Convention and he will be featured on CBC during the 150th Canada Day special broadcast, singing the Canadian National Anthem in Italian.